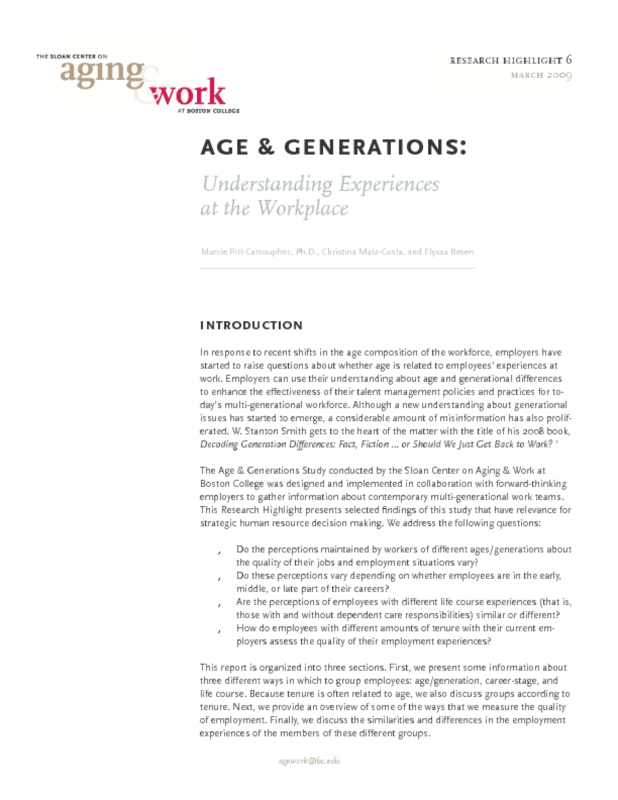 Examines differences in employees' perceptions of the quality of their jobs by generation, career stage, whether they have dependent care responsibilities, and length of tenure. Discusses elements of employment quality, including flexible work options. Copyright 2009 Sloan Center on Aging & Work.